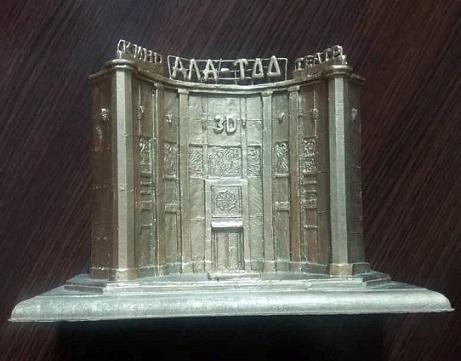 Award to the director of Ala-Too cinema! 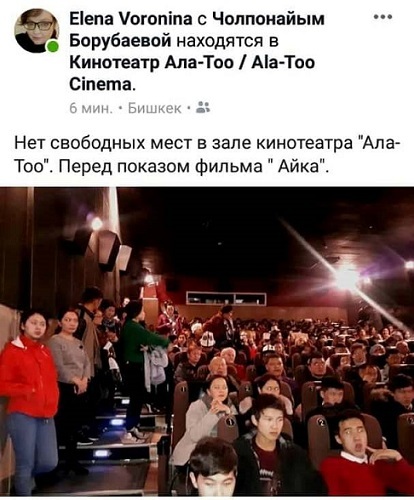 Release of the film Ayka at the Ala-Too cinema, centre of the Bishkek, at the beginning was planned from 14.02 to 07.03.2019. After the success of viewing on March 5, 2019, when the screen-hall was very full, the director of the cinema decided to continue the release until March 20, 2019. 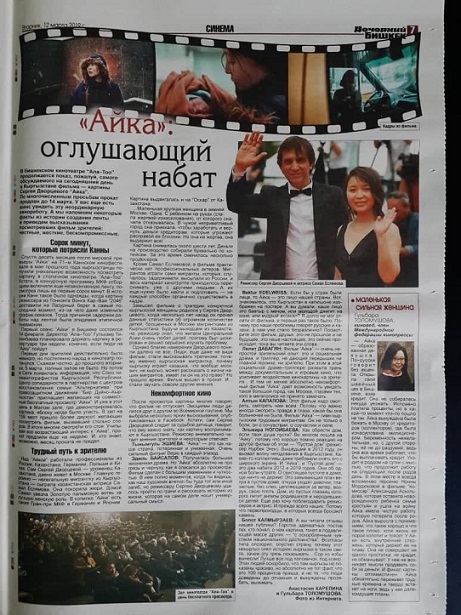 Now - Ala-Too cinema is alone cinema in Bishkek where people can to see art-house films. For example, Centaur made by Aktan Arym Kubat recently began re-release, last year - Night Accident was in program during 5 months! 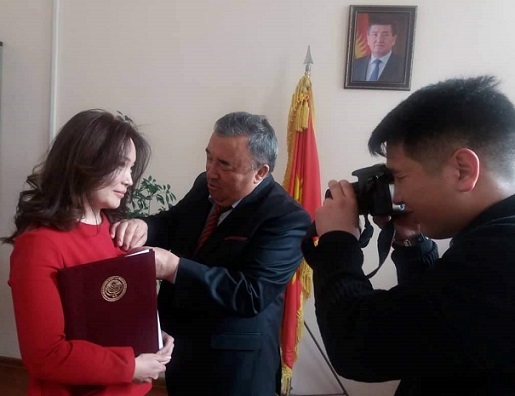 Head of the Cinema Department - Muktaly Bektenaliev decided to reward Ala-Too's director Gulkair Tilenbayeva for her great work for the promotion of art-house cinema in Bishkek. 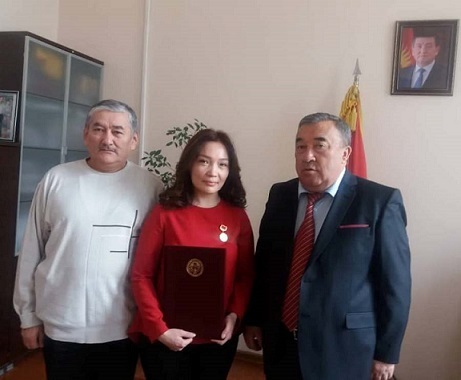 He handed her an icon: Excellence worker of the Kyrgyz Culture.